Often times, when someone gets injured in a personal injury accident, they seek medical treatment at hospitals and from medical specialists. Many people use their insurance to pay for the medical expenses. 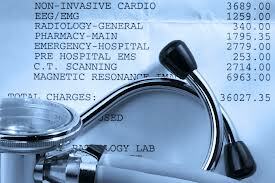 In a personal injury case, you are entitled to recover the amount of your past medical bills. However, when you use your insurance, the amount that the insurance pays will be less than the total original amount that was charged. For example, if you spent the night at the hospital after your accident, you may have been charged roughly $20,000.00. However, if you used your insurance, then your insurance company will reduce the charge by more than 50% so now your medical expense from that hospital visit is less than $10,000.00. So are you entitled to the $20,000.00 or the $10,000.00. In the case of Howell v. Hamilton Meats & Provisions, a woman named Howell was involved in an auto accident and she had total medical charges of roughly $175,000.00. She used her insurance, which only had to pay $41,000.00 to take care of the $175,000.00 in medical bills. She argued to the Court that she should be able to recover the $175,000.00 for medical expenses, but the Supreme Court ruled that she can only recover the $41,000.00 because of the collateral source rule. The collateral source rule states that if a third party paid your medical expense, then you owe that third party only for the amount that they paid. So how does it work? Howell is a post judgment remedy. Basically, the jury has a special verdict form where there are slots for amount of medical expense awarded, amount of pain and suffering awarded, amount of lost wages awarded etc. At first, the jury is shown the full amount of the charged medical expenses. Then they award that full value in the medical expense awarded on the special verdict form. Then the defense makes a motion to reduce the medical expense rewarded to the actual amount that the insurance paid. Although this was not the best ruling for Plaintiffs, personal injury cases still have great value because of the pain an suffering damages awarded which are the most substantial part of a personal injury case.